Thank you for visiting our virtual office. If you have reached us we presume you are looking for either information or assistance in digital marketing. Welcome to our unique digital marketing consultancy. We are a team of youpreneurs, professionals in content creation, SEO, paid search, research, analytics, consultation and training. We are experts in our respective fields passionate about our work and wanting to market our years of experience. Innovative, Adaptive, Affordable – are our 3 core values. Digital marketing so far meant social media to you. Now you are beginning to realize it is much more than social media alone. You have been trying to do digital marketing in-house but now realize that your staff are not trained to handle it. You want to improve performance of your social media accounts but don’t know how to do it. We, as a team, like to simplify digital marketing for you. We will guide you step by step to tackle the problems or difficulties you are facing now. We start by doing a simple audit of your current digital marketing assets and work out an action plan with specific goals to achieve that fits your budget. Our digital road map starts with your website and it’s an ongoing journey with ever changing scenarios led by emerging technologies. We believe all businesses should enjoy the vast potential and benefits digital marketing offers. We offer digital marketing services under our brand, Social Hifi. Watch our corporate video to know how we can help you to use digital marketing to grow your business. stop to see how it can help you promote your products or services to your customers. 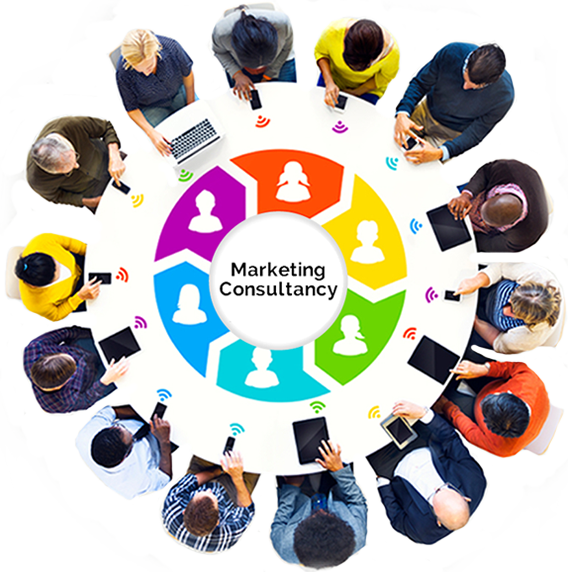 We are not just another marketing consultancy. We are a small team of professionals passionate about the jobs we undertake. Our timings are flexible to adapt to the needs of our clients, be it a week day or week end. The 8 to 4 routine is not for us! ADDED VALUE We believe in giving added value to our clients. That’s making sure our clients get more than what they bargained for! FLEXIBLE Being flexible means to understand the objectives and goals as well as the constraints of the clients. Then we suggest solutions that fits the client’s budget. AFFORDABLE We aim to make digital marketing affordable to you. We will develop digital marketing activities that fits your budget. No budget is too small for us. INNOVATIVE When we are innovative we bring a new twist to your marketing activities all the time. This makes your marketing connect with your customers. TEAM WORK Nothing can beat the results of a great team work. We believe in working as an extension of our client’s marketing team. It’s been a pleasure associating with Social Hifi team and we will always recommend Social Hifi. They are passionate about their work and in helping clients. We used their services to enhance our Social Media Marketing – Facebook & Instagram. They are creative, insightful, easily accessible and a pleasure to work with. Organic page likes in Facebook increased 354% and FB post organic reach increased by 158% in 5 months.Instagram followers and post reach also increased during this period.If you are looking to increase your online visibility within the social media platforms, use Social Hifi. It was indeed a great pleasure to have worked with you and your team. You’ve been right there, helping out wherever and whenever needed, for these past few years. We have grown over the years in all aspects of the business. YKA’s approach had always been “customer-centric” – we couldn’t have done it without your expert consulting services. The level of detail and accountability you have demonstrated on each project, mainly mystery shopping, and the way you conduct business as a whole is commendable. We have, and will continue to, recommend your service to other companies and contacts. Our team could not be more satisfied with your work, and we look forward to continuing this relationship. Wish you and your amazing team a successful year ahead. Send us a quick enquiry on any questions, doubts you may have in using digital marketing to grow your business.We would love to share our knowledge with you. Digital marketing is a constantly evolving field with new emerging technologies, tools and trends. With time constraints and hectic schedules, it is not easy for you to catch up with the latest developments in digital marketing. Social Hifi blogs will update you, twice a month, with the latest tips and news on digital marketing.